This first one is made by Paula of Knitting Pipeline Podcast. 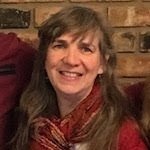 If you are a knitter, I highly recommend her podcast, which besides her amazing knowledge of knitting, also includes her quilting and nature notes. 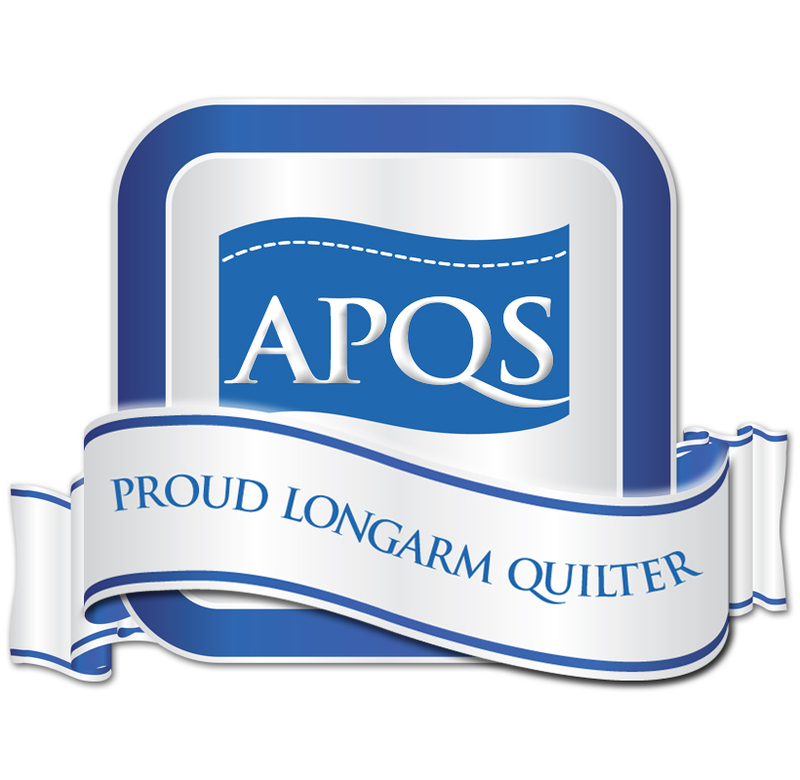 Quilters will enjoy her YouTube videos, where she tells you the point that the quilting updates begin. Paula's Grandmother's Fan quilt features 30's prints. 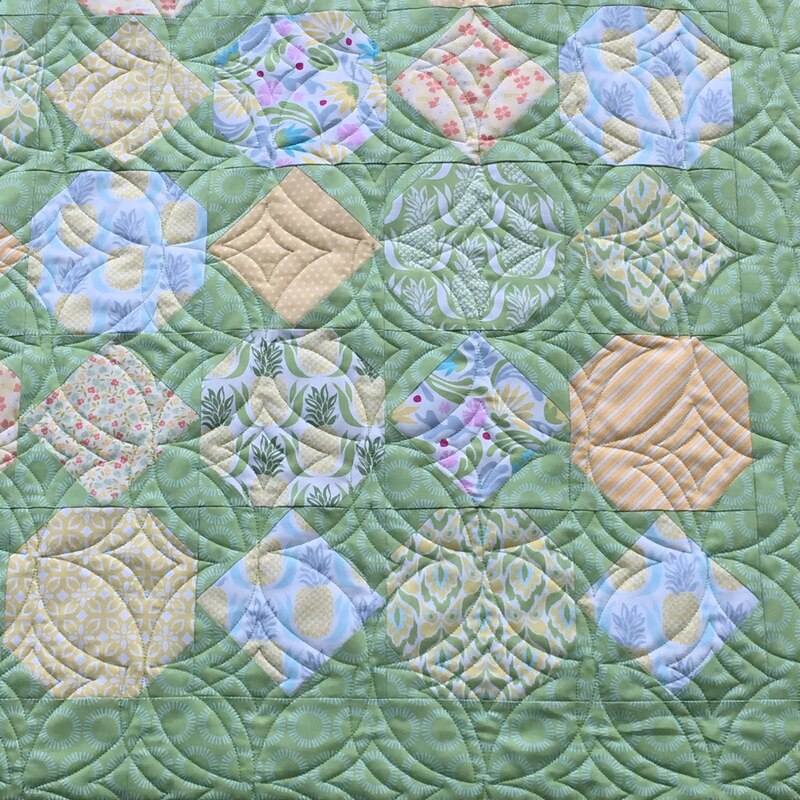 We chose Americana Flourish for the quilting. I think the flowing feathers look great flowing across the background! This is a fun bed quilt, finishing at 86" square. And next I'd like to introduce you to Tracie, who blogs at Riceford Streams. 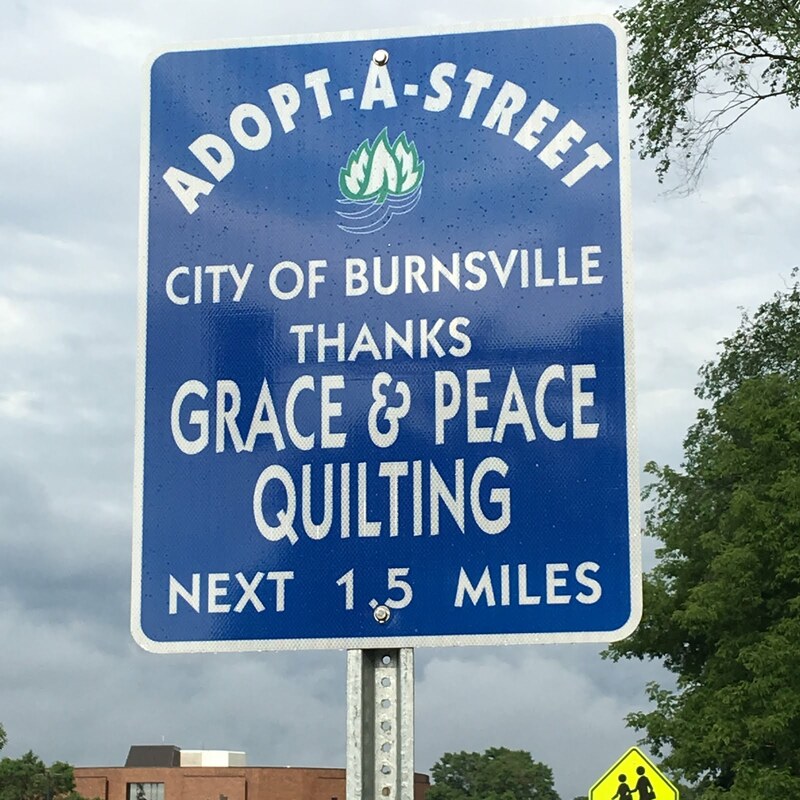 Tracie blogs about quilting, making a home and living midlife with purpose. 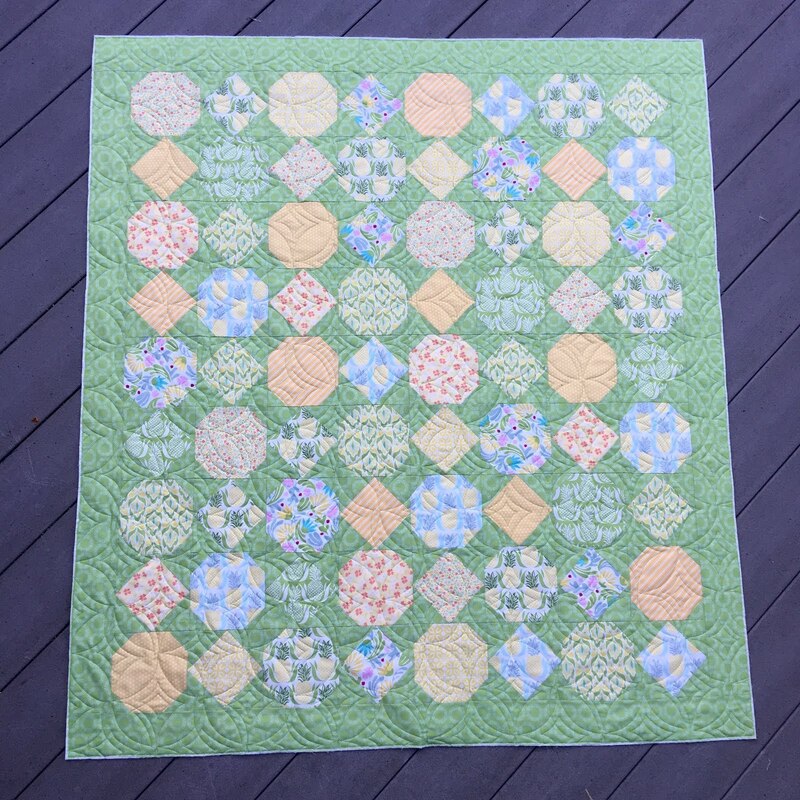 Tracie calls her quilt "Pineapple Punch". It's a combination of snowball blocks and square in a square blocks. To learn more about the pineapple, a symbol of hospitality, see Tracie's interesting blog post. Linking up with Needle & Thread Thursday, Friday Foto Fun, TGIFF, Busy Hands Quilts. 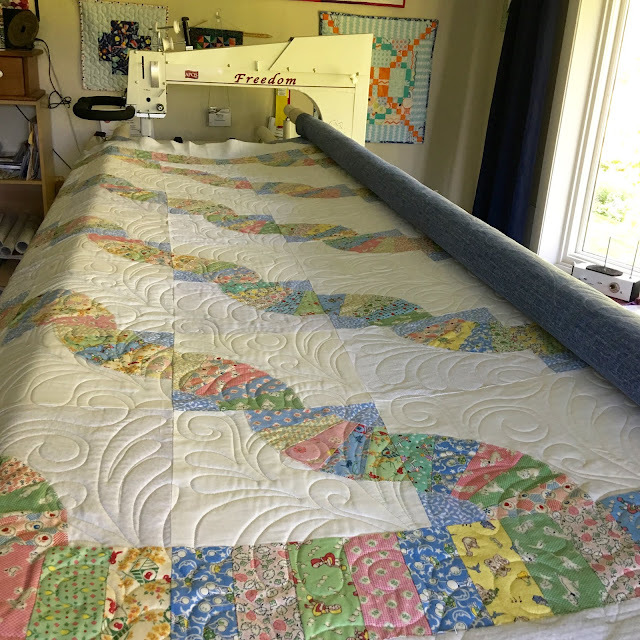 Lovely quilts and super fun vacation video! Pretty soft colors for both quilts. You are the panto queen Nancy! 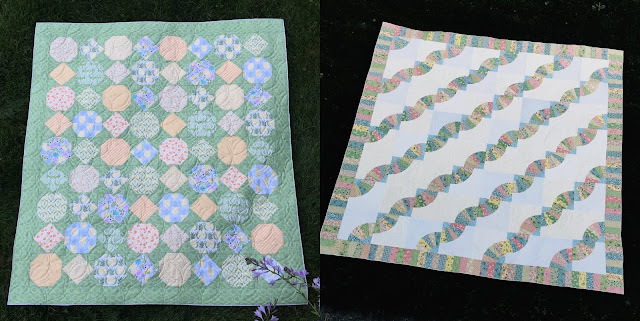 Both quilts are so pretty! It's fun to see Tracie's on your machine, and I can't wait to see it in real life. Thanks for sharing, Nancy! Beautiful quilts and quilting! The 'fan' quilt is beautiful! They're both beautiful! Your pantographs are so nice and even, it's like a computer did it! Hi Nancy, what beautiful quilts. 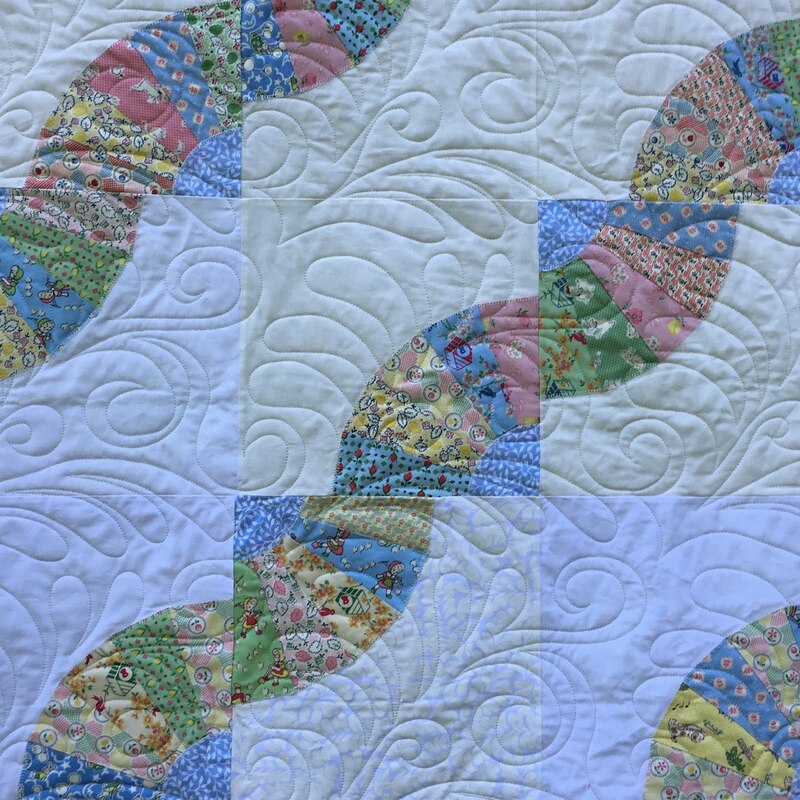 Your quilting sure highlights the quilt! 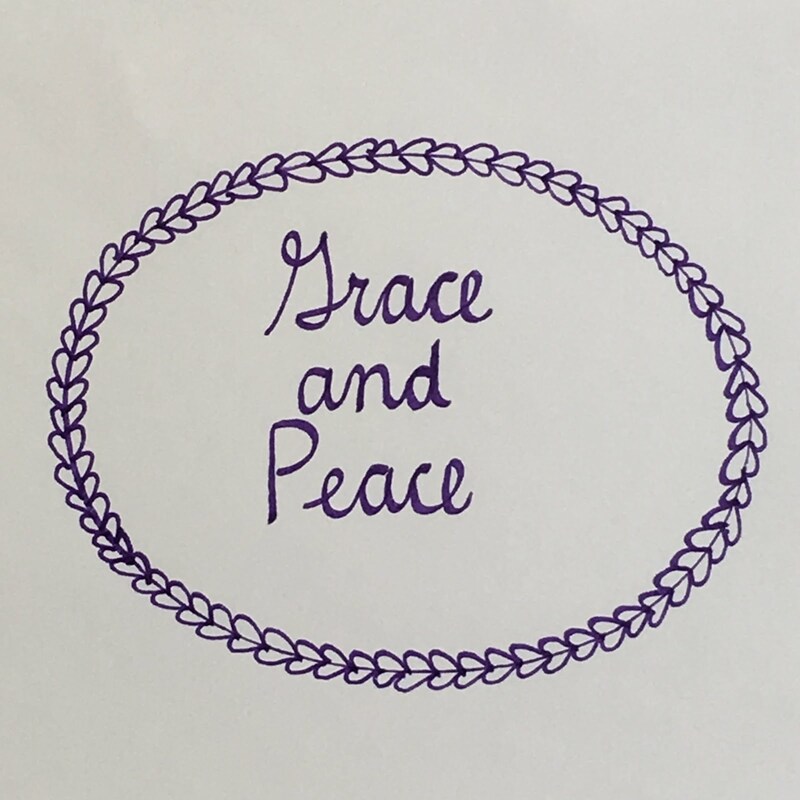 Thanks for linking up to TGIFF. 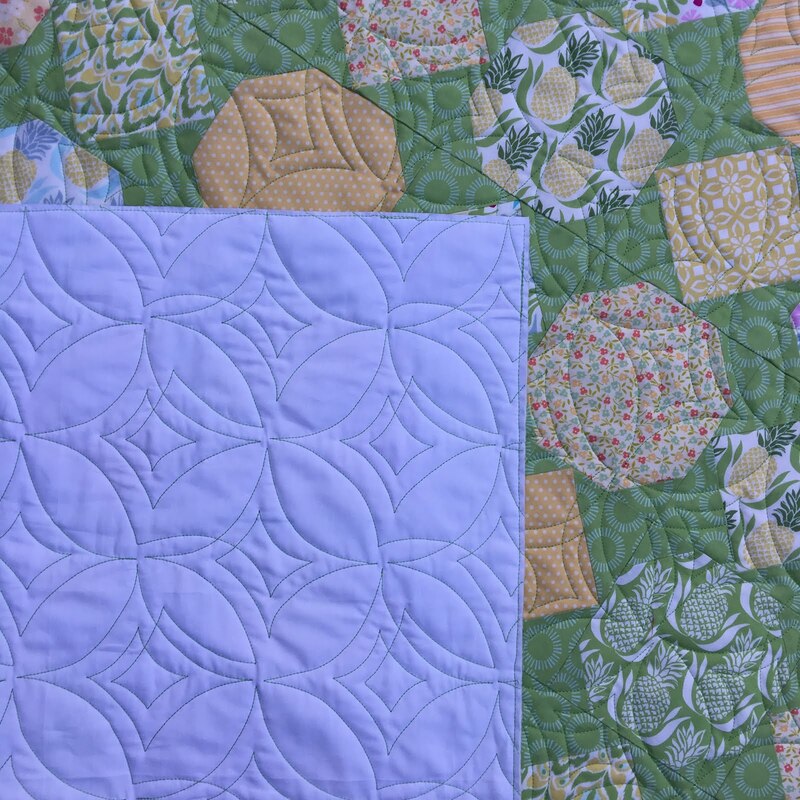 These are two very different but beautiful quilts and the quilting you settled on works perfectly for each quilt. 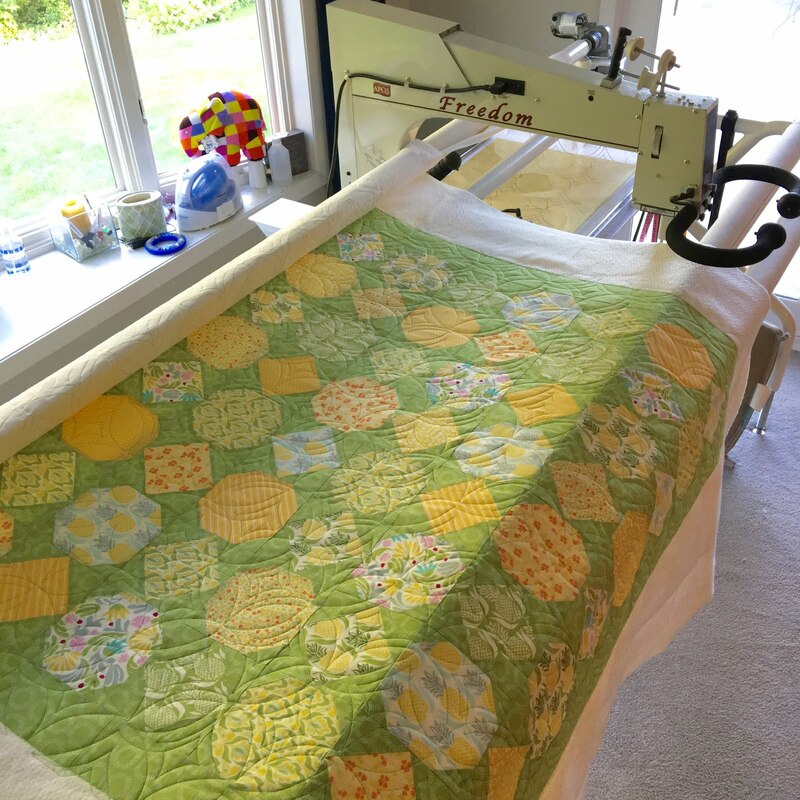 I have seen Tracie's quilt in the making and have read her post which has made me quite interested in the pineapple fabrics I am seeing everywhere these days. Another interesting video. 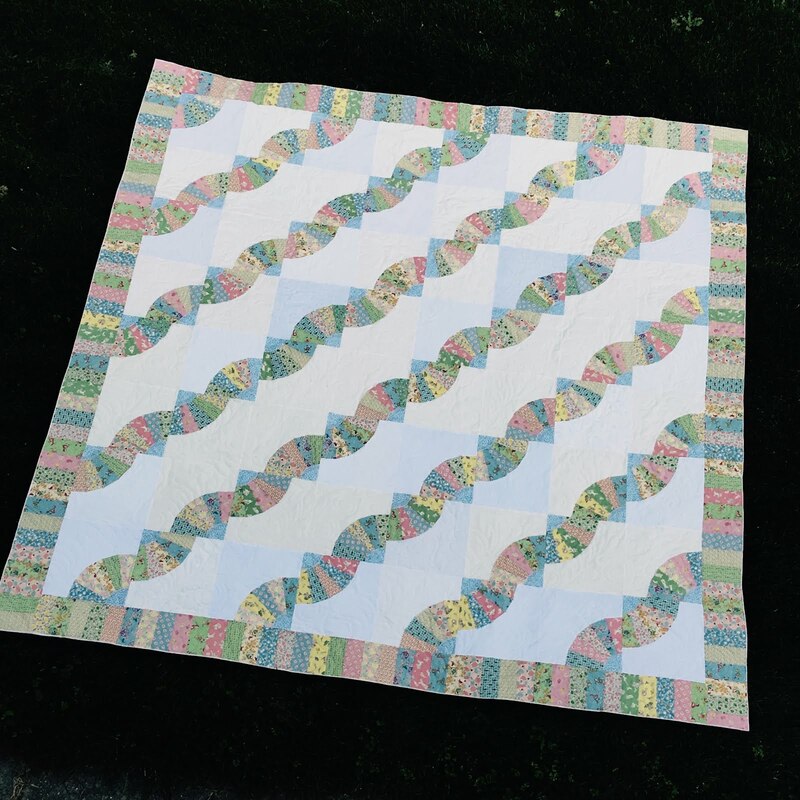 Extremely beautiful quilts! 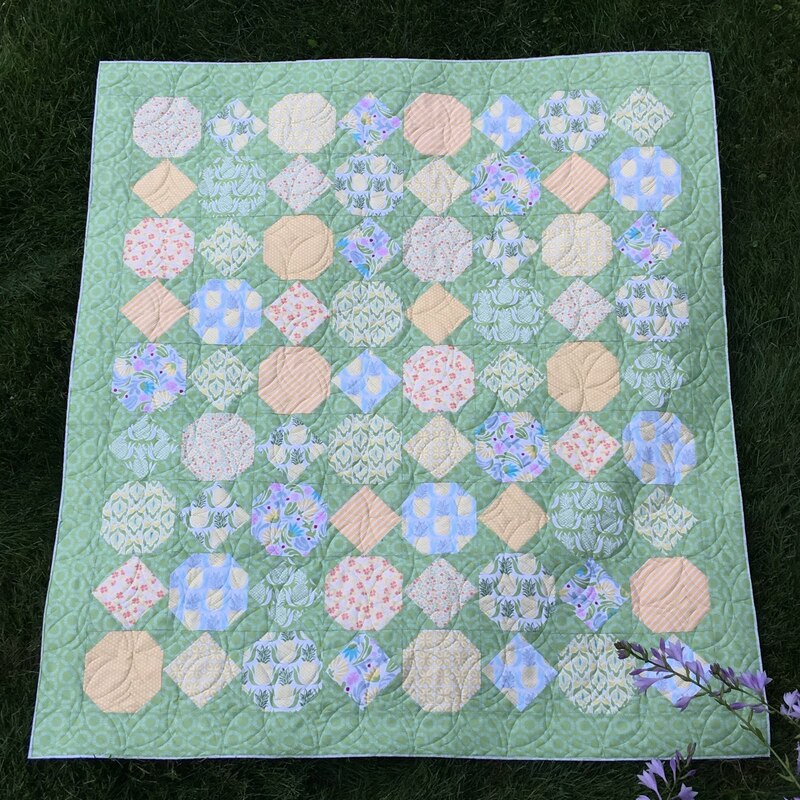 I love that Grandmother's Fan quilt - a new to me pattern! The Pineapple Punch seems to highlight the fabrics beautifully. Again, your quilting is gorgeous! 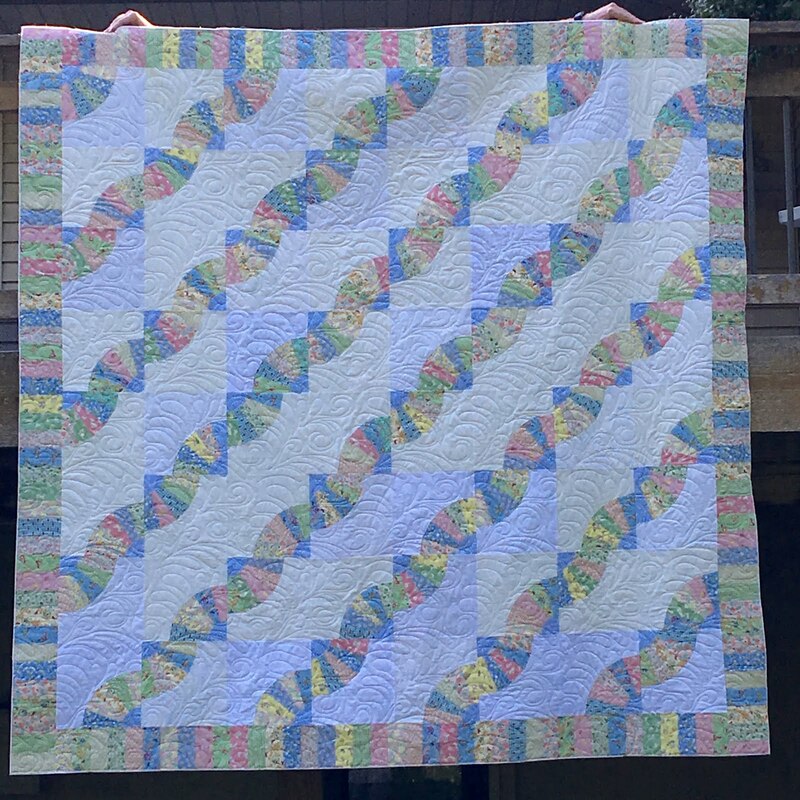 Two very pretty quilts! I like the flowing feathers that fill up the white space, similar to how I quilted my first pattern (and still the only one lol) for sale!